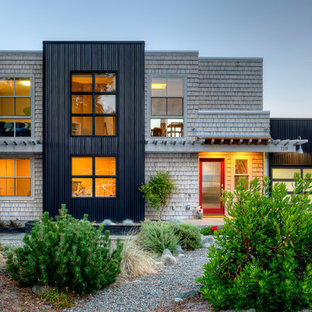 Design ideas for a contemporary two-storey black exterior in Seattle with mixed siding and a flat roof. 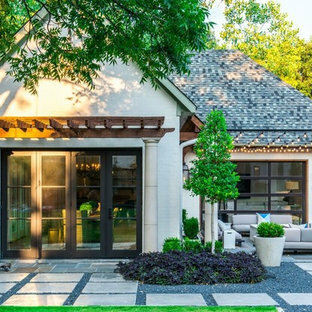 Mid-sized traditional one-storey brick white exterior in Dallas with a hip roof. 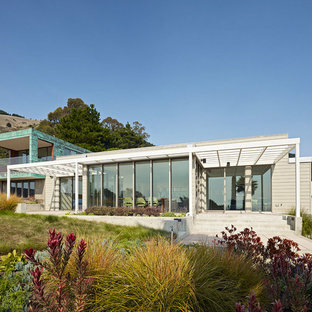 Inspiration for a contemporary one-storey exterior in San Francisco. 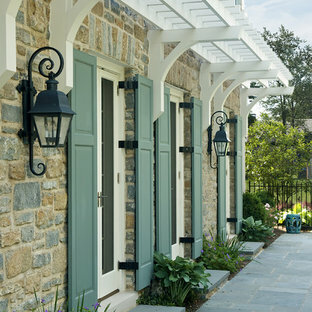 Photo of a traditional exterior in Cincinnati with stone veneer. 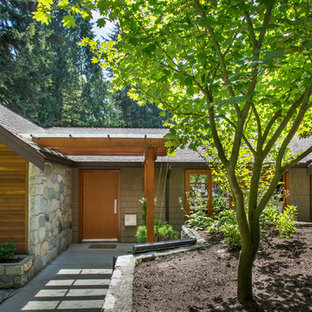 Inspiration for a contemporary exterior in Vancouver with wood siding. This is an example of a modern two-storey exterior in DC Metro with mixed siding. Design ideas for a modern two-storey exterior in DC Metro with metal siding. 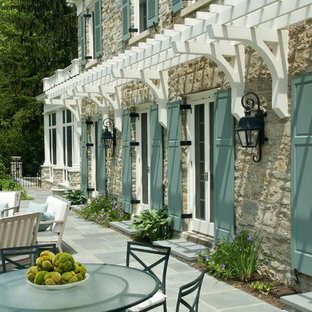 Hollub Homes, Interior design by Helene Hollub Walnut trellis, limestone clad facade, eyebrow arches, clerestory glass, sicis glass accent pool tile, turkish white marble. Photo of an industrial exterior in Austin with metal siding. Contemporary two-storey exterior in Boston. 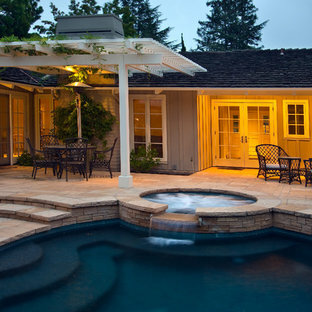 Detached guest house with full bath designed to fit in with the existing single family home. 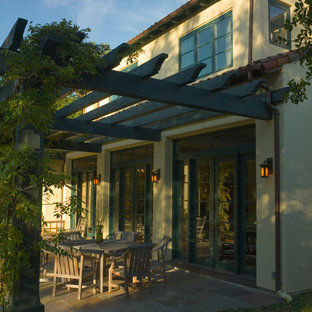 Photo of a traditional exterior in Los Angeles with wood siding. 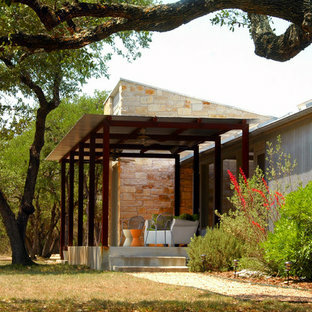 Wood and glass doors leading on to a colored concrete terrace under a cedar pergola. Inspiration for a mid-sized contemporary two-storey exterior in Seattle with wood siding. This is an example of a traditional exterior in Seattle with wood siding. 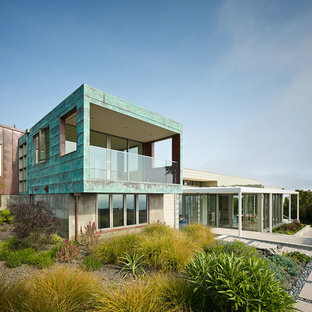 Contemporary exterior in San Francisco with wood siding. Mid-sized country one-storey exterior in Seattle with wood siding and a gable roof.